The newly-released novel The Winds of the Gods introduces Dr. Elena Juarez, a University of Texas professor who has broken the code for interpreting Mayan glyphs. But her system has come under attack and she can only validate her research by finding reliable samples of early Mayan writing in a virgin pre-classic Mayan site. Looking for the dig site, she begins having disturbing visions of a robed apparition. Clue by clue this spirit-guide draws her to Acatenango, an ancient mountain-volcano in Southern Guatemala. Elena was born in a small village in the shadows of Acatenango, whose name means “Where the God Lives.” Not just any Mayan god, but Itzamna—Father of all Gods. When the archeology team from the University of Texas arrives on Acatenango, they uncover a small pre-classic Mayan village high on the mountain—possibly an outpost from Kaminaljuyu, the capitol city of the Mayans. In the village, they excavate several examples of early Mayan glyphs. Then, quite by accident, they discover a large structure built into the mountain, which was covered by lava from the eruption of Acatenango in 250 A.D. As the team begins uncovering the temple-like structure, Elena realizes that it couldn’t have been built by the Mayans because it was constructed with technology that didn’t exist—at any time in Mayan history. Yet, dating of the mortar places the structure in the village at the time of the eruption—a building out of time, out of place. Elena struggles to discover the secrets buried in the temple and to find out who could have possessed the knowledge and technology to build such a building in 240 A.D. She wonders if it could have something to do with Itzamna, the Father of the Gods, who according to legend, lived on this very mountain? What she finds will shake the very foundations of Christianity. Loved the story from beginning to end. Detailed and richly woven back and forth through the different eras. Rugel would have loved this book. He spent several years in Guatamala. We spent three weeks on a medical mission in 2008. It is truly a fascinating country and the Mayan Indians are truly a wonderful culture. You really brought back many memories for me. A truly great story with many important true facts. Thanks Connie. I’m glad you enjoyed the book. 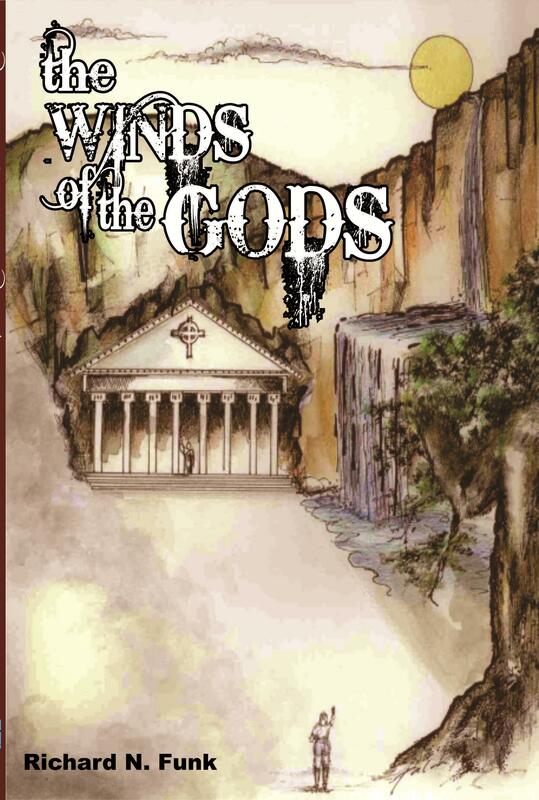 If you feel like it, you could go to Amazon.com and type in “The Winds of the Gods” and enter a review for me. Thanks again, Richard. Hi Richard. Loved this book! We used to visit Chichicastenango, guatemala, way up in the mountains and bought many things in the Indian market. It was an exciting read. Keep on writing…let me know if there will be others soon. I received your book as a gift from my sister, Lynn Brud, l was enthralled from page one…I finished in two sittings, only because I had to make dinner in between…I gave a review on Amazon so I will not ramble on with a page of superlatives… It was really a wonderful read, and being as I just got a Kindle I can not wait for your next book to come out so I can order it for that..
Good Job Richard….amazingly enjoyable read. Just want all my Winds of The Gods followers to know that my book is now on line at Barnes and Nobles.